I've re-named the Bento Box to "Illusions," which I thinks truly describes this quilt. 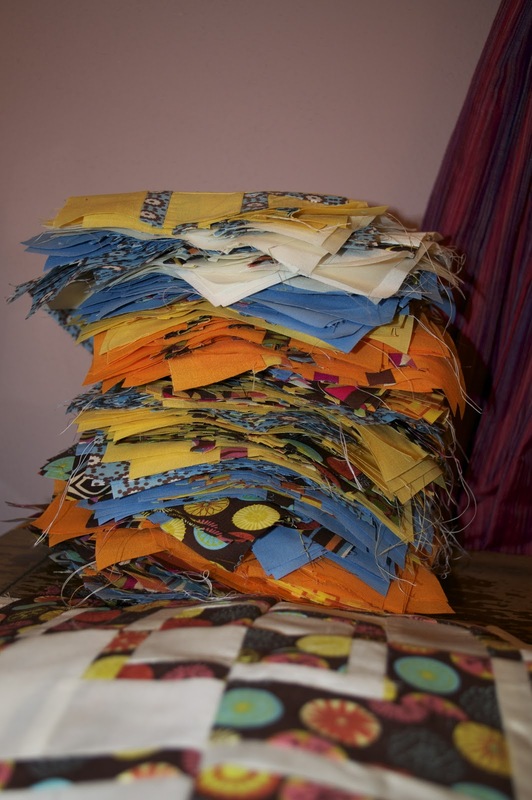 Now it's time to lay them all out and sew them up into one HUGE quilt top!! !